When it comes to cloud-based accounting software, most of the small business owners remain skeptical about trusting their data to some outside company. Still, the use of online or cloud-based financial applications is becoming the norm in the business world. Many business owners are admitting the benefits of these applications. 1. Access your accounts from anywhere. 2. Seamless integration with popular third-party applications and banking software. 3. Better backup and ability to immediate upgrades. 4. Better security and quicker bug fixes. With many threats due to hacking, many business owners are opting for cloud providers for better secured financial data whose business model is based on security. It is still better than these businesses keeping their data on their own services and managed by their local IT technician. Few of the available accounting software are reviewed in the latest ebook – Online Accounting Software: Finding the Right Match by an independent consulting firm, Sleeter group. 1. Cloud-based accounting applications don’t fit in with all businesses. Most of these applications are dependent on good internet connection and an environment where data is mildly controlled. These software lack many advanced features and set of user and data related limitations with less functionality required for some vertical industries. 2. Most of these cloud accounting software are suitable for handling basic accounting, management of payables and invoices, general ledger postings, etc. When it comes to advanced inventory management, CRM, human resources, purchase order control and detailed fixed asset management, these products are not worthy enough. 3. These online applications are crafted towards the mobile user which is always in the online world with access from iPhones, Android devices, etc. They generally like to integrate with online payment services and banks. There is huge competition among these applications for partnering with online payment services like PayPal, Bill.com, and DropBox. This ebook contains detailed breakdown and comparison of the most popular deliverables at disposal by these applications. It covers around 18 categories of functionality. This includes reporting, inventory, job costing, sales tax, payroll and fixed asset tracking along with basic accounting and banking features. 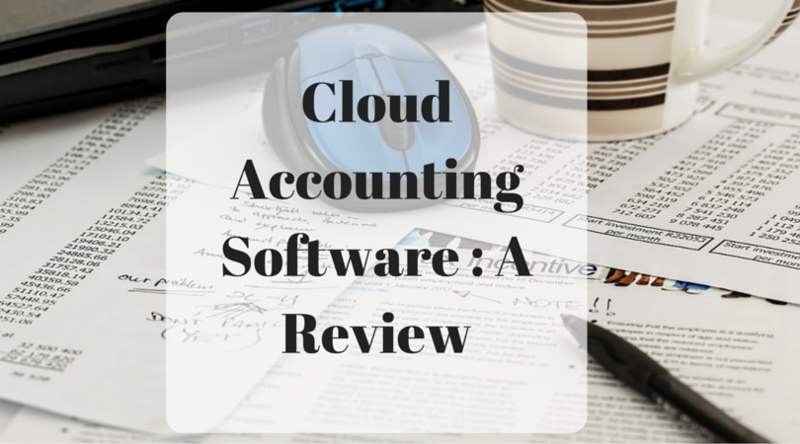 This marks the end of our article on cloud accounting software. Go through them, work on them, and don’t forget to leave your valued reviews and suggestion in the comment section.